For millions, Wolfman Jack was the world's most famous disc jockey for the rock'n'roll generation of the '60s on radio, and later on television during the '70s. In the 1970s, the Wolfman was heard on 2200 radio stations in over 40 countries worldwide. While much of the airwaves were segregated in the early 1960's, Bob Smith (a/k/a Wolfman Jack) created his shadowy wild man alter ego so that he could play the rhythm and blues "race records" that he loved so much. Many teens first discovered The Wolfman while scanning the AM radio band as they cruised Main Street USA. Out of the night came the howling voice of Wolfman Jack mixed in with a collection of rock'n' roll, inner-city ethnic rhythm, and deep south blues records that wouldn't be found on any "legal" radio station. Indeed, Wolfman Jack held court over his young audience from XERF-AM, just south of Ciudad Acuña, Mexico (across the Rio Grande from Del Rio, Texas), where its 250,000 watt signal -- five times more powerful than any U.S. radio station -- blanketed most of North America. Without the benefit of traditional advertising, it was word of mouth that spread the news about the provocative Wolfman and his nonconformist style -- the kind of style that horrified parents, making it all the more appealing to a growing legion of young followers. His first professional radio job was at WYOU-AM, Newport News, Va., where Bob took his first air name -- Daddy Jules -- paying homage to the strong influence black DJs had on his early years. His natural style and energy led to a large following of listeners and soon, Daddy Jules was a popular attraction at local teen dances. 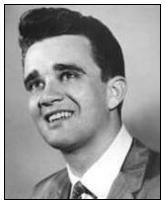 In 1962, Bob moved on to Shreveport, La., where he quickly became a ratings success on KCIJ-AM as "Big Smith with the Records." Still, the potential of a local radio station couldn't begin to fulfill his dream of becoming a nationally-known DJ. 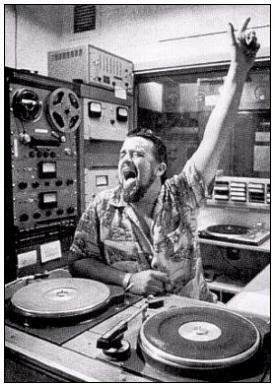 Yet, it was here that the Wolfman Jack character actually first came to mind while Bob was playing records on KCIJ. Afterwards, Wolfman Jack went south of the border to XERF-AM in 1964, a super-powerful radio station in Mexico that was reaching millions of listeners across North America and filling its air time with U.S.-based preachers selling all sorts of religion. In 1965, Wolfman Jack moved to XERB (1090 AM), another power-pumping clear-channel radio station located across the border on Mexico's Baja peninsula, at Rosarito Beach, near Tijuana. Beaming his now-trademark mix of rowdy rock, raw rhythm and blues, and verbal antics, the Wolfman quickly found a new legion of fans from Southern California, up through the Great Northwest, into the remote regions of Alaska and Canada. At the same time, the national press was beginning to take notice, and stories began to surface in Time, Newsweek, Life and major newspapers around the world. Leading recording artists like Todd Rundgren, Leon Russell, Freddie King and the Guess Who wrote chart-making songs about The Wolfman, and his popularity spiraled upward. One of the teens touched by Wolfman's radio programs was budding film maker George Lucas, who remembered the Wolfman when he wrote a simple screenplay, a tale of four friends in a small northern California town -- graduates of the Class of '62 -- preparing to go their separate ways. 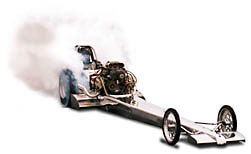 The film was "American Graffiti" (1973), which earned four Academy Award nominations and $55 million at the box office, making it one of the most successful films of the year. The movie also, once and for all, lifted the veil of mystery behind Bob Smith's character, and Wolfman Jack was about to make a transition from a cult figure to a full-fledged media megastar. Over the next few years Wolfman entered the media mainstream, yet never losing his appeal as a spokesman for rock 'n' roll. During an eight-and-a-half-year run as host of NBC-TV's "The Midnight Special," and through his more than 80 television appearances on other networks and in syndication, plus more than 2,800 personal appearances around the world, Wolfman is part of rock history. Wolfman Jack died on July 1, 1995, of a heart attack in Belvedere, North Carolina. He was 56.